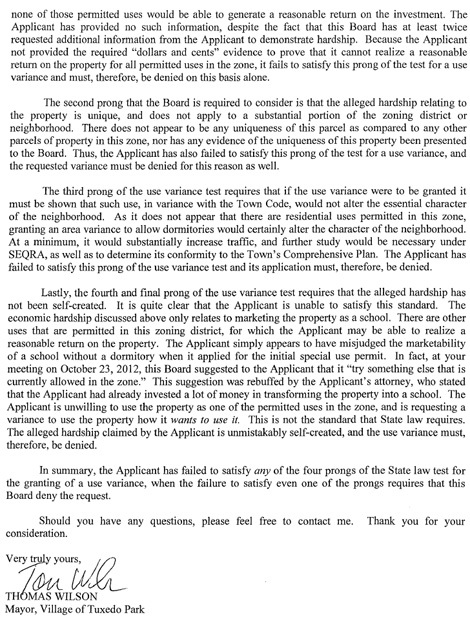 On January 22 Applicant Nungin Sun Won appeared before the Town Zoning Board of Appeals regarding their application for a Use Variance, which would allow them to construct dormitories at their facility, located at 371 Route 17 A. Numerous members of the public spoke out against the application for a multitude of reasons. 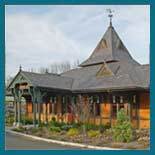 What follows are two letters, submitted to the Zoning Board of Appeals by Village Mayor Thomas Wilson and former Town Planning Board member (and Village resident) Susan Goodfellow, outlining some of the major concerns with the applications. Thank you for the opportunity to comment upon the Nunjin Sun Won application to allow for building 63 dormitory spaces. I appreciated receiving the minutes for September and October’s meetings and the opportunity to read documents submitted by the applicant. Mrs. Villanueva was very helpful. Nunjin Sun Won purchased the property in an LIO district. This property was available for purchase for many years. Nunjin Sun Won applied for and was granted a religious use. The property was removed from the tax rolls. The Building Inspector apparently misspoke at the October meeting. Greg Stevens confirmed that Nunjin Sun Won was not put back on the tax roles after being given a permit to use a major part of the property for a commercial purpose in 2009. In a recent conversation, Greg Stevens told me that Nunjin Sun Won pays no county or school taxes. They made an agreement to make a payment to the Town “in lieu of taxes” of about $5000. I have not confirmed whether those voluntary payments have actually been made. In seeking the permit granted in 2009, Nunjin Sun Won said they were unsuccessful in creating a viable religious use, so that led them to create a commercial business. In 2009, they were given a permit to rent classroom space to colleges and universities for commuter students. This business is called NYIU. Apparently classroom rentals to colleges or universities hasn’t worked out well. It looks like no colleges and universities are renting classroom space. Given that many schools are creating online programs for students, it may be that Nunjin Sun Won’s business model is antiquated. SUNY New Paltz was one of the schools they said they were negotiating with when presenting to the Tuxedo Planning Board. New Paltz was featured in a January 16th article of the Times Herald Record touting the launch of online degree programs in the Fall of 2013. The SUNY New Paltz program is typical of what is going on around the country because it is a much more economic and convenient way to provide commuter students with courses. In this application, Nunjin Sun Won appears to be pursuing the same line of business (renting classroom space to colleges and universities), hoping that dorm rooms might make their business more attractive, but without providing any data to show this would be the case. Further, there is no written description for how the rooms would be leased (to one school, to multiple schools, rented directly to students?). There is no business plan. From reading the minutes, it doesn’t look like they have a contract with any school. The so-called marketing plan submitted is not a plan but a mishmash of documents. One the documents in the “marketing package” shows that Nunjin Sun Won allowed RCT to actively advertise and conduct classes for elementary school children in the summer of 2012, even though the site plan notes expressly state “space to be leased can only be leased for purposes of higher education (post high school)…” . 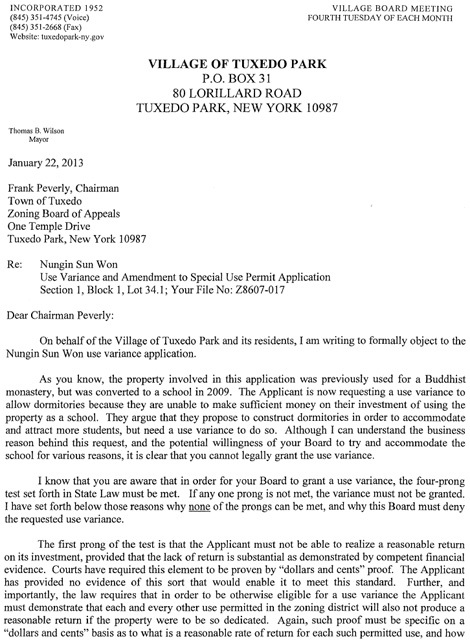 How is it that Nunjin Sun Won disregarded limits of the existing permit? A recent article in the Photo-News (January 11, 2013) indicates that Nunjin Sun Won has been in conversation with the local school about dorm rooms for high school students. This further confuses the direction they are going in and makes the application before you suspect. Has Nunjin Sun Won been candid with the Board? The September and October minutes do not show that Nunjin Sun Won actively pursued all business opportunities that are consistent with each permitted LIO use. So, on what basis should the Board grant the request for dormitories? The applicant does not have a unique hardship situation caused by the Code. Their unsuccessful business was caused by their own choices. For all of the reasons cited above: 1) the applicant’s lack of unique hardship, 2) the role of the applicant in creating its own hardship, and 3) lack of clear evidence of exploration of each permitted use, I request that you reject this application. Approving the application would create a dangerous precedent without a demonstrated need. The request for dormitories is a use not contemplated for in the LIO District. Residential use is not contemplated in this zone in the Comprehensive Town Plan. Dormitory use represents a fundamental change to LIO zoning. 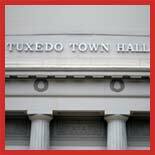 This serious issue rightly belongs in a broader discussion and examination of the Town Plan. Many thanks for the work you have done in examining this application and for considering the comments I have made. I regret being unable to attend the meeting on Tuesday and wish you well in the deliberations.